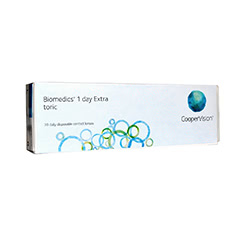 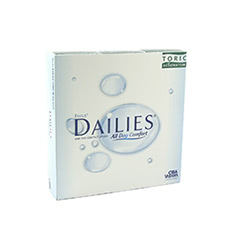 Buy daily toric contact lenses from leading brands such as ACUVUE, CIBA Vision / Alcon and Bausch & Lomb at Lenstore.co.uk. 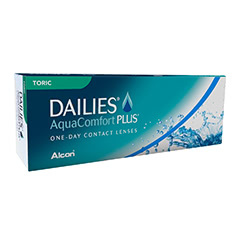 Designed for those with astigmatism, disposable toric lenses satisfy vision correction needs while providing the convenience and hygiene of a daily lens. 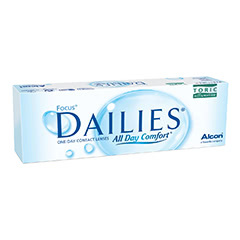 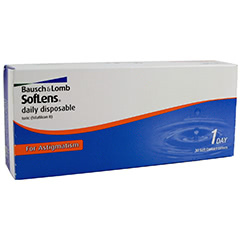 We stock top brands such as 1 Day ACUVUE for Astigmatism, Focus Dailies Toric, and many more. 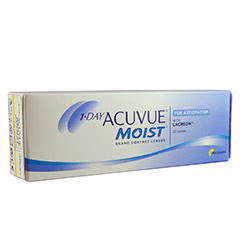 As an award-winning online retailer of contact lenses, Lenstore.co.uk is proud to provide its customers with excellent value for their lenses, offering prices at a reduced rate compared to traditional retailers.